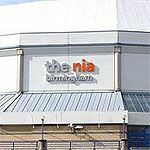 The NIA is a well known indoor sporting and entertainment venue showing a wide variety of music, concerts, conferences and exhibitions. Contact the venue for more information. What did you think of The NIA?